“The world is your oyster” they say. Everyone would love to feed their inner wanderlust by exploring the beauty, splendor and magnificence of the world we live in. The reality is that travel can be expensive, but it doesn’t have to be. Here are some tips to ensure you find and book the cheapest flights to your destination of choice. It may sound obvious, but by changing the date and time of your flight, you can save lots of money on your airfare. School holidays and public holidays are the most favourite times to travel, so if you can, book your flights outside these high peak periods. Domestic flights departing on Tuesdays and Wednesdays tends to be much cheaper than the rest of the week. The time your booking is made can also influence the price of your airline ticket. Tuesdays around 10 am seems to be the best time to book as studies show that airline prices seems to be lower in comparison to the rest of the week. Want to be the first to know of domestic and international specials? Be sure to follow Facebook, Twitter and Instagram or sign up for a newsletter to receive up to date and one day flight deal specials. Use platforms such as Fly SA to view and compare all the available flight options. If you are not set on flying on a specific airline, you will find amazing deals on some of the smaller airlines operating on the same routes. Various cities have more than one airport. You don’t always have to arrive or depart from the biggest one. Compare the options available and the prices to all the available airports. Locally domestic flights to Lanseria are sometimes cheaper than flights to OR Tambo. Planning to travel during popular holidays, festivals or sporting events like the Cape Town Cycle Tour, Two Oceans marathon or Comrades? Be sure to book in advance as the cheapest tickets tend to sell out quickly. Travelling international? Studies have shown that you’ll get the cheapest flights by booking 1½ – 5½ months in advance. The best days to depart are Sunday – Thursday and return on a Tuesday – Thursday. If you want to travel, but not fixed on a specific date, wait for special offers. Airlines offer flight specials on a regular basis. Keep your eyes and ears open for any deals and book as soon as these specials become available. 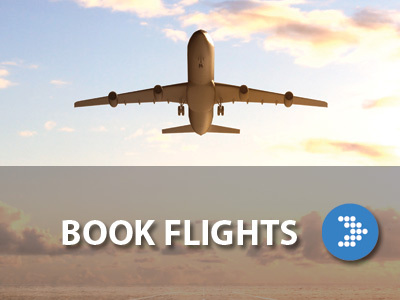 You don’t have to fly on the same airline for your departing and returning flights. Sometimes one airline’s outbound flight is the cheapest, but another airline offers a better deal on the return flight. A platform such as Fly SA ensures you compare all the available flights on any given day. This term refers to early morning and late night flights where travellers are known for their red (tired) eyes. These flights are a lot cheaper than the late morning and afternoon flights. If you don’t mind an early morning or being up until late at night, this option is definitely one to consider. 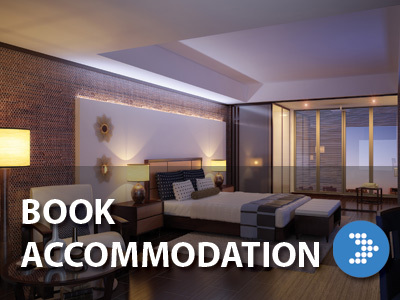 When making a booking online, be sure to untick the extra add-on options you don’t need. Just select the ones that are applicable to you to make sure you are not charged for something you don’t need. By downloading apps like Fly SA, you are able to search for flights on the go. Not only will you receive push notifications of the latest specials, you will also be able to find and book your flight immediately by using your phone.